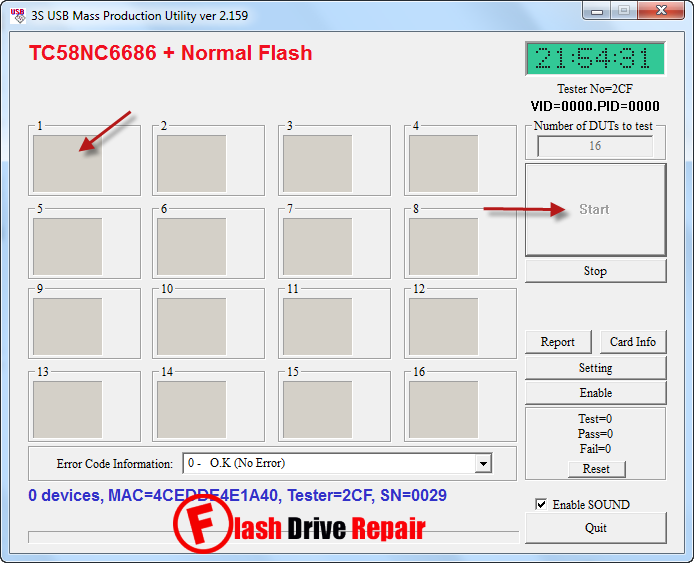 Format corrupted SSS flash drives .Download SSS6686 Toshiba TC58NC6688 mptool v.2.159 and reformat corrupted SSS6686 ,Toshiba TC58NC6688 ,SSS6688, SSS6690 and SSS6691 chip controller . 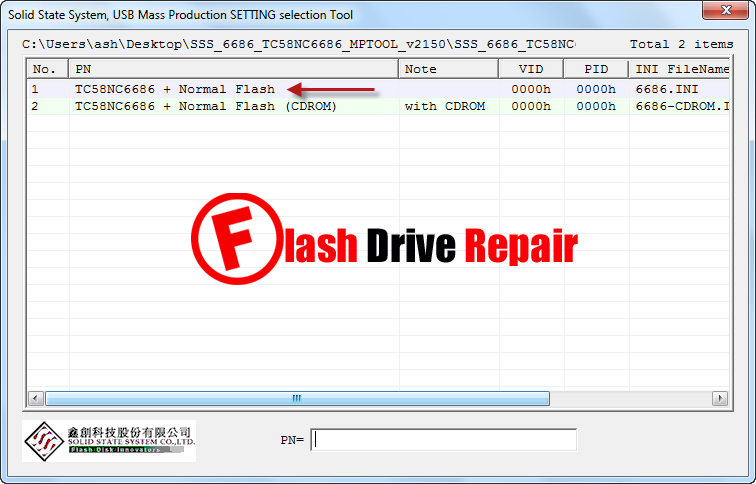 SSS6686 Toshiba TC58NC6688 mptool v.2.159 is designed to repair corrupted SSS flash drives that have format errors .SSS6686 TC58NC6688 mptool v.2.159 support format the following flash drives chip controllers "SSS6686 ,Toshiba TC58NC6688 ,SSS6688, SSS6690 and SSS6691 chip controller . There are many versions of SSS6686 mptool such as " SSS6686 Tc58nc6686 mptool v2.112 ,,SSS6686 Tc58nc6686 mptool v2.150 ,SSS6686 Tc58nc6686 mptool v2.157 and SSS6686 Tc58nc6686 mptool v2.159 " .This three software can help you to format SSS flash drive chip controllers with the chip models mentioned before .You must be sure that your flash disk chip vendor is one of the chips we mentioned before , you can use Chipgenius software or USBDeview V2.30 utility. How to repair SSS6686 Toshiba TC58NC6688 USB ? Download SSS6686 Toshiba TC58NC6688 mptool v.2.159.rar from the download links before . Insert corrupted SSS USB flash disk to your PC . Extract zipped folder then you will find two software versions of SSS6686 MPTOOL "U3S_MP_V2157.exe ,U3S_MP_V2159.exe " , you can open one by one . 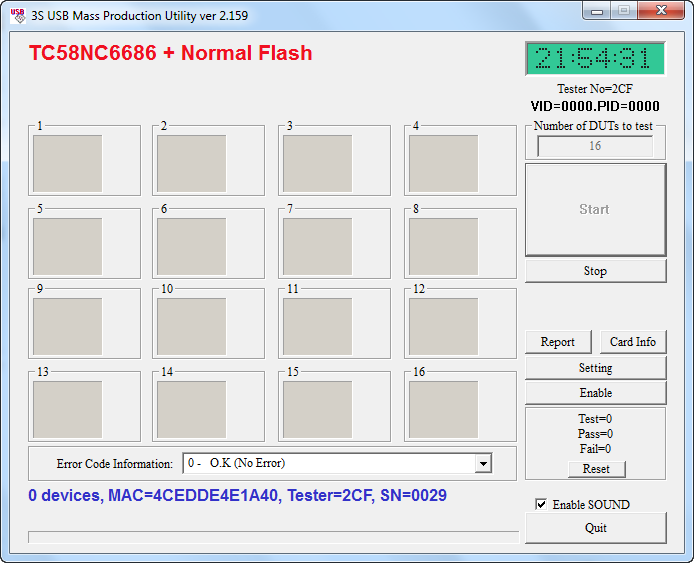 If your flash drive chip is supported by the software ,you will see flash information appears on the software interface . Click Start to begin update SSS6686 firmware . Which tool need I download to repair my pendrive?